COLUMBIA, SC (WIS) - A cold front will bring some big changes to our weather over the next couple of days. · Tuesday in an Alert Day! 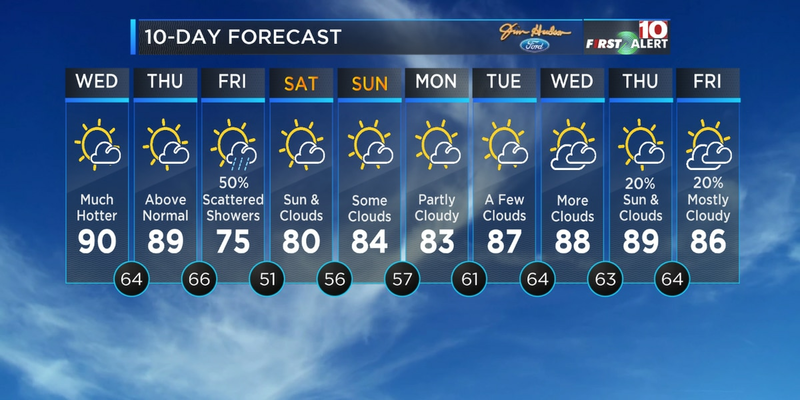 · A cold front will bring afternoon and evening showers and storms. Our winds will also be gusty. 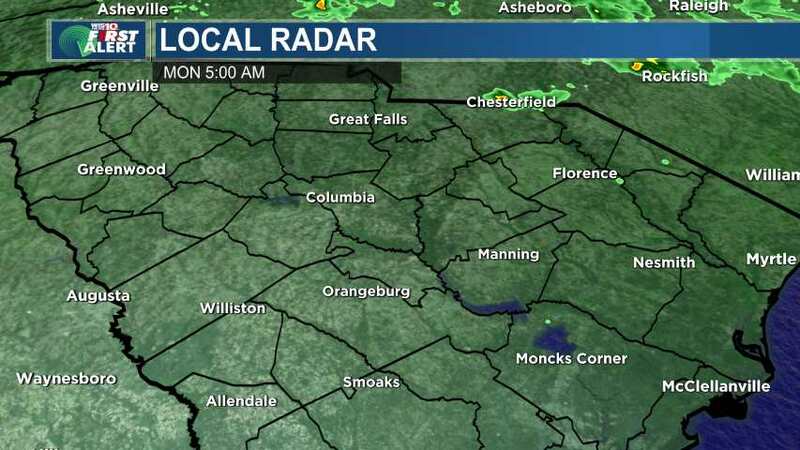 · A Lake Wind Advisory is in effect Tuesday for most of the Midlands. Winds could gust to around 35 mph. · Highs on Tuesday will be in the mid to upper 70s. · Then, on Wednesday and Thursday, highs will cool back into the low to mid 60s. 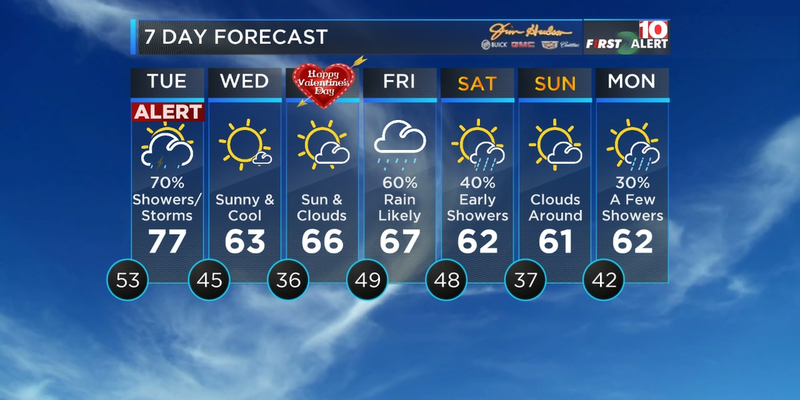 · Valentine’s Day (Thursday) will bring a mix of sun and clouds and highs in the 60s. 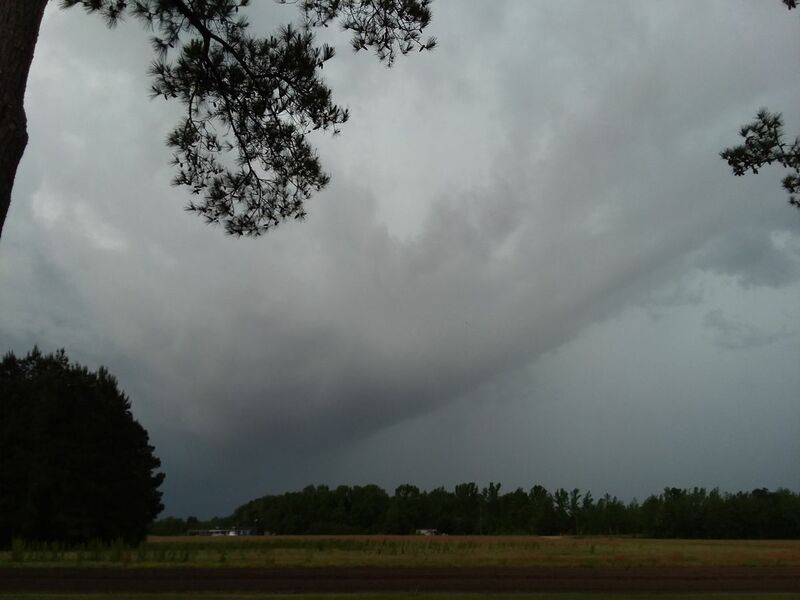 · More rain moves in Friday into Saturday. First, as we move through your Monday night, expect low clouds and fog. An isolated shower is possible. Overnight temperatures will be in the 40s and 50s. Our winds will be gusty through the afternoon and evening Tuesday because of the front. As a result, a Lake Wind Advisory is in effect for most of the Midlands. Winds could gust to around 35 mph, so hold on to your hats. The front will be to our east by Wednesday, allowing high pressure to build in. This setup with deliver mostly sunny skies to the Midlands. 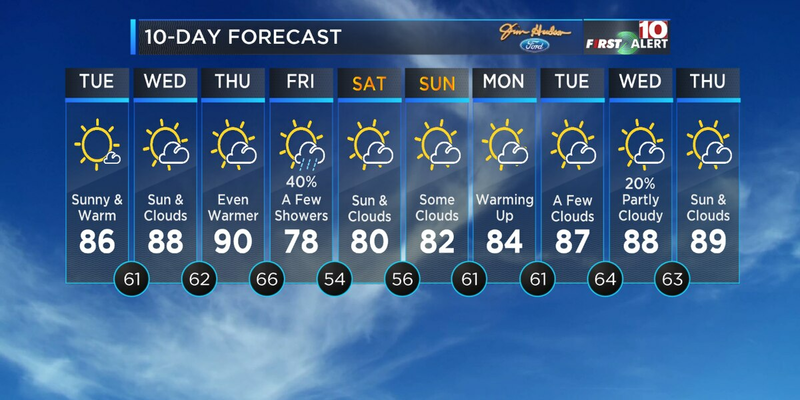 High temperatures will cool into the lower 60s. Our winds might be breezy at times Wednesday. Thursday, on Valentine’s Day, expect dry conditions. We’ll see highs in the mid 60s. Another weather system moves into the area Friday into Saturday, giving way to more rain. We haven’t declared Alert Days for that time period right now, but we’re keeping an eye on it. Highs will be in the low to mid 60s. Tonight: Low Clouds and Fog. Isolated Shower (20%). Overnight temperatures in the 40s and 50s. Winds: SE 5 mph. Alert Day Tuesday: Partly/Mostly Cloudy. Rain Likely (70%). Isolated Storms. Gusty winds. Highs in the mid 70s. Winds: SW 15-20 mph, gusts to 30-35 mph. Wednesday: Mostly Sunny. Cooler. Breezy at times. Highs in the lower 60s. Winds: W 10-15 mph. Thursday: Sun and Clouds. Mild. Highs in the mid 60s. Dominic Brown joined WIS-TV as chief meteorologist in June 2017. It’s getting hot, but some showers will cool us down soon. 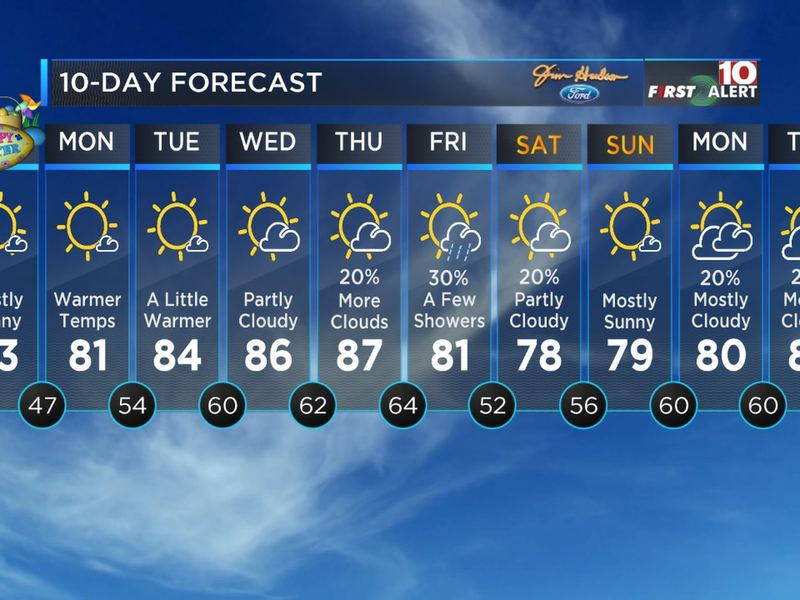 Brace yourself for much warmer weather in the Midlands this week.